Duchamp Played Chess; I Made Cranes. Save Event: Duchamp Played Chess; I Made Cranes. Share Duchamp Played Chess; I Made Cranes. FERREIRA PROJECTS is proud to present the first solo exhibition in London of James R Ford - Duchamp Played Chess; I made Cranes. Ford's new body of work emerges from his fascination with the ancient Japanese practice of Origami and begins to illustrate how Eastern Art has become Westernised. Like Marcel Duchamp, who in 1923 declared that he was no longer a practising artist and instead both played and studied chess for the rest of his life to the near exclusion of all other activity, so Ford became disillusioned with his art practice and, in 2007, decided to dedicate his time to making Origami Cranes instead of creating any new work. He became obsessed by the paper folding process and intrigued by this ancient art. 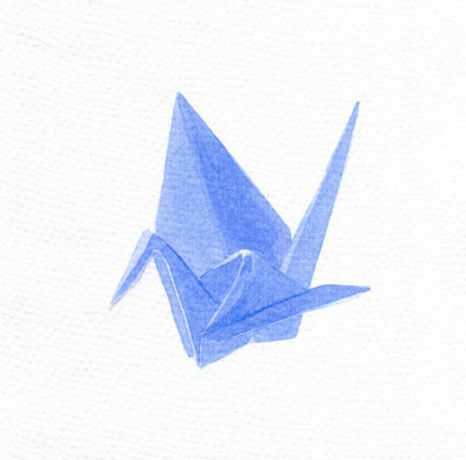 Origami cranes have great significance in Japan ' the giving of a folded crane to someone is to wish them a safe journey home, and legend has it that if a person makes a thousand cranes they will be granted a wish by the Japanese Gods. Hoping to have his own wish granted, Ford began folding cranes in earnest and, at the same time, made studies of these folded objects and patterned papers. Much like Duchamp who claimed to have abandoned art for playing chess, but secretly worked on his last major piece Etant donnés for 20 years, so was Ford, unbeknownst to himself, developing a new body of work. By giving in to his obsession with Origami, Ford folded 1,000 cranes in all colours, patterns and types of paper available. His adjacent studies take the form of watercolour and Gouache paintings and digital illustrations of the folded cranes. In a cyclical way he turned his studies into patterns, created his own paper designs and used these to fold more cranes. The 1,000 Origami Cranes are impaled on 100 stainless steel rods, forming a cubic installation of elegant brutality. Ford has also created a computer animation of infinitely spinning rainbow cranes and large intricate pattern prints, inspired by the numerous Origami papers used, that references the more contemporary Japanese culture. Ford will be accompanying the exhibition with his own limited edition Origami paper design, and folding instructions for a classic Origami crane, downloadable from the FERREIRA PROJECTS website for the duration of the show. James R Ford has had work commissioned for the permanent collection at the Swedish Museum of Modern Art and has co-written and illustrated the book House Gymnastics.